Mojo bags, dream pillows, under the pillow spell; any way you want to title these they come out to be the same things. Have you ever wished your dreams were more peaceful or that your dreams could help you solve a problem? Find the correct herbs to make your magick dream pillow and make your dreams be all you hoped they could be. I will provide you with a list of herbs and what they will assist with in your dreamworld. Also consider using candles; choosing the right color of course, and anointing your candle with oils that will aide in you dream journey. Dreams can be the eyes into the world or even ourselves that shows us the part that our conscious minds overlook and do not allow us to see. Our fears to face the truths are put aside when we are dreaming and we are open to all sorts of possibilities. Dream pillows can help to focus those dreams onto what we need to achieve. As promised, here is a list of herbs that can aide you in your sleep and are often chosen to be used in dream pillows. 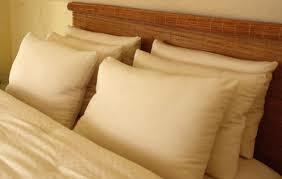 There are other herbs that can be used in your dream pillow or you can use a combination of herbs. There is no need to over-do things, the herbs are just one tool to be used in combination with your spell casting and envisioning your dream pillow working. Never underestimate the power that you hold within yourself, use herbs, incenses, oils, and spells as the tools to combine with the power you already hold within yourself. Always remember, the Earth, Air, Water, Fire; all of the elements are there to help us and we must always take care of our environment. Be in tune and be one with the environment and take care of what nature has given us and it will in turn take care of us. The powers that are held within the elements are endless and wonderous; the powers within ourselves are as well.